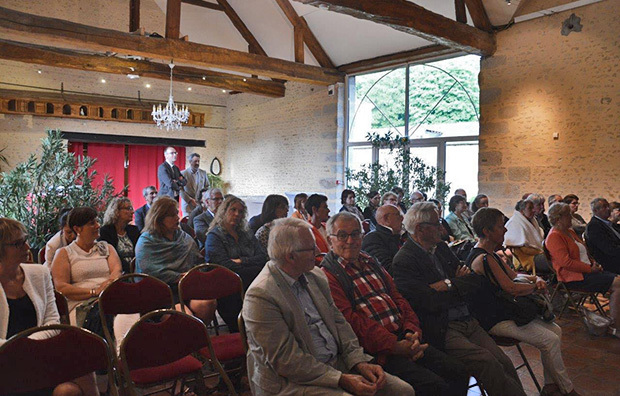 “All Partners” meetings were held on 4 and 5 June in Orne and Calvados with the managers of local postal agencies and elected officials from the city halls in question. Many topics were brought up during these meetings with elected officials, particularly the role of the CDPPT (Departmental Commission on Local Postal Presence), with a special spotlight on the beautiful renovations to agencies in some communities. In collaboration with elected officials from the CDPPT, La Poste is studying the development and renovation plans for local or inter-community postal agencies. Gilles Havard, Local Relations Manager at the La Poste group in Orne, reaffirmed that “the La Poste Network is transforming via co-creation with elected officials”. And Ludovic Assier, President of the CDDPT in Orne, commended the dedication of all the elected officials on the commission, saying, “the CDPPT is there to help design projects, and the equalisation fund is there to finance renovation of the postal network”. Gilles Havard explains: “These days, local postal agency public outlets play a true digital support role for the community: they reduce unequal access to computer tools, especially the internet, in rural areas”. By developing these new forms of local postal coverage, with furniture as well as technical and computer equipment, La Poste is positioning itself as an actor that supports residents in the digital arena. Aside from digital technology, elected officials are delighted with the renovations to their local postal agency public outlets. In Couterne, Mayor Daniel Durand praised the creation of two new spaces between the city hall and the local postal agency: “This has made for better confidentiality, but also a friendly atmosphere thanks to a more light-filled lobby”. In Sainte-Scolasse-sur-Sarthe, Mayor Alain Belloche improved access to his postal agency by moving it into the town centre. “Now, all the shops are in once place, and residents appreciate this access to services”. Another “All Partners” meeting is planned in Manche on 2 October, where other wonderful success stories will be presented. What is a local or inter-community postal agency? It's a location shared by city halls in regional planning priority areas as well in urban or suburban areas; postal services are provided by municipal staff. Customers can access essential La Poste services and perform all their standard post transactions.